One of the great things about travel is the way it allows you to disconnect from your day-to-day life. You can slow down and approach the day with a fresh perspective. The brewers at Belgium's Hoegaarden claim to understand that process of slowing down better than most. 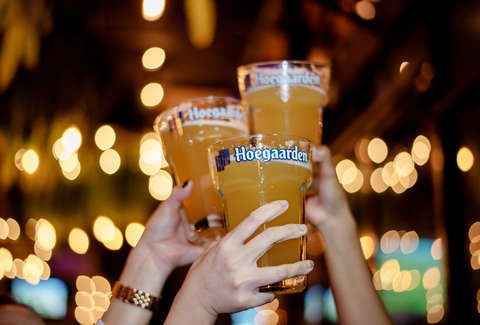 With rich brewing history in the city of just over 6,000, Hoegaarden goes through a slow fermentation process, and it wants to share the mellow vibes with a few lucky travelers this spring. The brewery is going to pay a few drinkers to head to Hoegaarden, Belgium and partake in a leisurely vacation. In addition to getting you there, the brewery will pay you an additional $1,445 -- after 1445, the year when brewing began in Hoegaarden -- to enjoy what the village has to offer, including "an abundance of nature, cloud watching, cobblestone skipping," and, of course, beer. Four travelers and their friends will win the "Hoegaarden Slowed Down Spring Break," which includes flights and accommodations as well as an "incremental payment of $1,445" that can be spent in the city's cafes and shops. At one point the brewery, owned by Anheuser Busch InBev, left the village briefly. "After two years of protests by brewery workers and beer aficionados, it reversed itself," writes Devin Leonard. So, now you can head Hoegaarden and enjoy beer brewed in its town of origin. If spending some time in Belgium, sipping a witbier is your idea of a good time, you can enter at HoegaardenSpringBreak.com by April 22. You have to be a US citizen and at least 25 years-old. Travel will take place from May 11 through May 15. Entrants will be judged by a panel on their response to the prompt, "What’s your favorite way to relax in the Springtime?" Hopefully, your answer involves relaxing and not sitting around bugging people by saying, "Winter is coming."